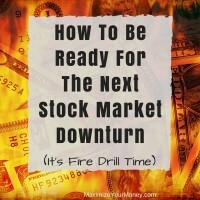 Do you want to know the best way to avoid panic if the stock market drops? Being educated. 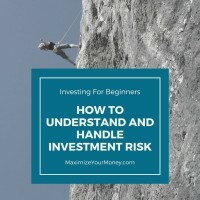 Being an intelligent investor – understanding key principles, historical trends, and best practices – will go a long way in removing investment anxiety. Some people have some very valid questions, like: What if the stock market drops 50% in value like it has done in the past? What if the market drops while I’m in retirement? Should I sell if the stock market starts going down? Will I lose everything? 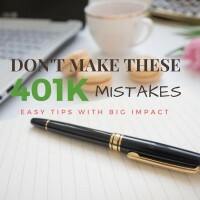 Will my retirement be derailed? It’s absolutely normal – even a positive sign – to be concerned about these topics. It would be more of a concern having an investor who never pondered these scenarios than someone who had these questions and got solid answers to them. So let’s take a little time in this post to explore the scenario of a stock market drop. Because it happens. It’s happened in the past and it will happen again. Maybe next year, or next month, or even tomorrow. How often does the stock market drop? A lot of people don’t think about this, but the value of the stock market (most commonly referring to the S&P 500 index) drops a lot. Every day it fluctuates. Some days it trends up and some days it trends downward. Someone took the time to analyze the past 20 years worth of data and found that the stock market was down almost 47% of the days. So about half the time the market is up, and half the time down. But over that same period of time the stock market value has increased 331%! The technical term for these market fluctuations is volatility and it’s a very normal part of investing. How often does the market have BIG drops? Stock market declines of 10% are considered a “correction”. Believe it or not, these corrections tend to happen every few years and they are considered a normal part of an economic cycle. When we start getting into five or more years without a stock market drop, investment analysts start expecting it. When the stock market drops 20% or more that’s considered a “bear market”. These bear market conditions are less common but still tend to happen at least every ten years or so. As of writing this in early 2017, the last bear market was technically in 2008 when the market dropped 56%. There was a stretch in 2011 where the market dropped 19.4% though, which is close enough that I’d call that a bear market situation. Aren’t these big drops a concern for investors? Over the past twenty years there have been two huge bear markets – a drop of 49% from 2000 to 2002 and a drop of 56% from 2007 to 2009. In addition to those bear market situations, we had almost ten correction situations. There have been some scary times as an investor! But, during this same twenty year period, stocks are up a total of 331%. So starting in 1997 – near a market high right before the “dot com crash” – and running into January 2017, the stock market has returned an average of 7.58%. Yes, that is a good bit below the lifetime market average of 10%, but consider this: With a 7% average annual return your money will double every 10 years. In my book that’s still a really good return! How long do these corrections and bear markets last? The average bear market and correction lasts 15 months. Please understand that doesn’t always mean a full return to value within 15 months though. I want to make sure you have proper expectations. On average the down cycle will last 15 months and then the market will enter an aggressive recovery period. After the “great recession” of 2007-2009 ended, there was a four year stretch of recovery and the market reached a new high point in 2013. Investors who waited two years saw the value of the investments start to rise again. Most investors who sat tight and waited another four years had all their investment value back and even more! If you are a data nerd and want to see the historical market movements with the corrections and bear markets highlighted, here is a PDF file someone created that shows exactly that. Can I “lose everything” in the stock market? This is the same thing as asking if the stock market value will ever drop to zero. No, it won’t. Some individual stocks might drop to zero if the company goes out of business. That’s why you should always have a diversified portfolio – to balance out the risk any single stock might present. No, not really. If you sell your investments while they are down 50%, then yes, you lock in a loss on that money. That’s why investing should always be planned for a long timeline. Think twenty years or more. Really that isn’t unreasonable for most people. Even someone who is 60 years old very likely has at least a twenty year investment horizon – assuming they think they’ll live to 80 or older. What if the stock market drops while I’m in retirement? This is a very real concern and people who are approaching retirement need to think about this. Many investment advisors will recommend their clients shift money from stocks into bonds as they approach retirement. The problem with that advice is that bonds have horrible returns. If you still need your investments to grow, as most people do when entering retirement, then bonds are going to work against you. What’s the solution then? Staying invested in stocks. [Read the risk of NOT being invested in stocks.] But you also need to make sure you have adequate cash reserves (aka emergency funding). We’ve written before about emergency funds and how to determine what size the emergency fund should be for your specific situation. Once you move into retirement, or whatever point in your life that you want to start living off your investments, you need to consider expanding your cash reserves. As mentioned above, the average stock market downturn lasts about 15 months. Within a few years there is often a substantial recovery from the stock market drop. 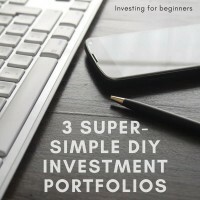 To avoid having to sell investments while they are down, people who are in retirement should expand their cash reserves so they can ride out market dips. 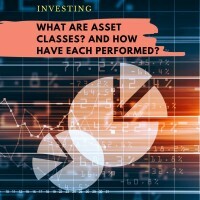 Having enough cash to cover all of your living expenses for at least two years, perhaps three or more if that makes you feel better, will allow the rest of your money to stay invested in stocks while also lowering some of your risk. So what should you do in a stock market drop situation? Nothing. Sit tight and wait for the downturn to end and things to start climbing again. It definitely isn’t easy watching the value of your life savings drop during a correction. Remember though that you haven’t really lost anything unless you sell while the values are still low. 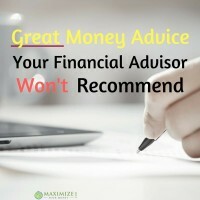 This is another area where financial coaching can be useful – helping to remind and assure you when things get rocky. Typically one of the first things I’d recommend to a new investor is to write an investment plan. That should outline what you do in a down turn and you should stick to it. I personally tend to cut spending in market down turns and push even more cash in. 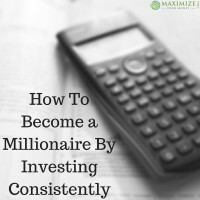 A written investment plan is a great suggestion! Unfortunately studies show that, even with people who do write out their plan, investors have a hard time sticking with it when things go south. That emotional/psychological component is actually one of the strongest reasons to consider a professional advisor or coach. Someone who can “walk you back from the ledge” when things seem to be falling apart. Great write up!!! I have to admit I’ve been waiting for a pull back in the market so I can get some cheaper shares since I have time on my side 🙂 It’s been interesting watching the market shrug off all the bad news out there. But I guess they are determined that tax and regulation cuts will super charge the economy. Thanks MSM! Yeah, the market is a bit overbought right now, but I’m sticking with my plan and letting everything ride. One challenge with waiting for a pullback – as I’ve certainly done in the past – is that you might miss a 10% run-up while waiting for a 10% correction. 🙂 Timing the market is tricky for sure. People need to get the ‘buy and hold’ concept. If you’re watching the market daily it’ll give you a nervous breakdown. 🙂 We have a low risk tolerance personally, so we minimize what we have in the market and go for more secure investments in index funds and blue chip stocks. But we only look at their performance about once a quarter or so.